Puzzles have intrigued and entertained generations of children - and their parents - for over 2,000 years. Here is an irresistible assortment of 100 challenging puzzles, in a sumptuous new edition of this classic book. These brilliant brainteasers range from the neatly lateral to the downright perplexing. 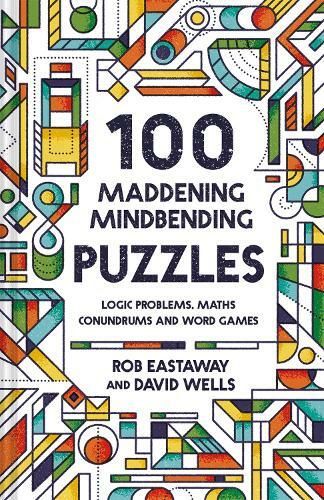 From chopping the chocolate to crossing the moat, mystifying matchsticks and a teasing typewriter, 100 Maddening Mindbending Puzzles provides many hours of mind-stretching enjoyment for even the most agile brains. Guaranteed. If you consider yourself a master of logic, a devil with a crossword and a whizz at cracking codes, this is your chance to prove yourself a real smartypants and pit your wits against this devilish collection of games and puzzles.